“Fast Lane” is sing by hip hop duo Bad Meets Avil group and song is sing by Royce da 5'9" and Eminem and it is from their album “ Hell: The Sequel”. Writers of the song are Marshall Mathers, Ryan Montgomery, Luis Resto, Sly Jordan, Dwayne Chin-Quee, Jason Gilbert and producers are Supa Dups., Eminem (co), JG (co). A format of this was Digital Download and it was released on May 3, 2011 in United States. 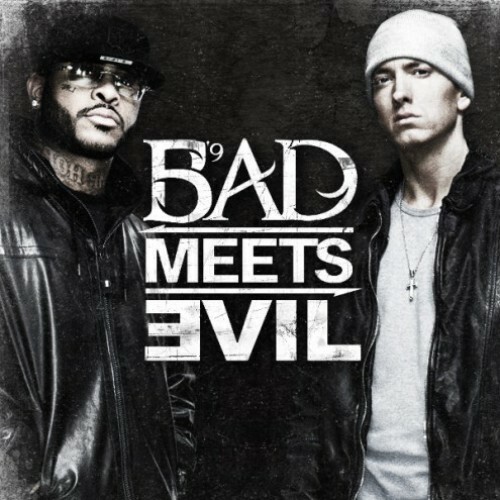 Bad Meets Evil was first performed in 1988. Basically ‘Fast lane’ is a Midwest Hip Hop song and time period of this was 4 minute and 12 seconds. James Larese was a director of the song video and he did work with Eminem before that. Royce da 5'9" said in his interview that was a more innovative idea in the video appeared because of Eminem and he also gave some animated effect feature in the song also. At June 8, 2011 video premiered in Bad Meets Avil Official Website and in VEVO. In lyrics they put some amazing visual; effect in the background and animated visual lyrics are surrounded when they are singing a song. They use that lyrics as an actual objects and hold them and also interact with each other. Both of them want to use it so they push each other back. In very next scene they travel in the green animated car and destroy many things. At the end of the video they both are trying to stand in front of each other and video ends when they both are push out by Bad Meets Evil Logo. For its humorous content video become so funny. In Bonnaroo Music & Arts Festival, Royce da 5'9" and Eminem they both performed on their debut live performance of the “Fast Lane”. On the second day of Lollapalooza 2011, which is in the Chicago “Fast Lane” was performed with Porter. In a year 2011 it ranked on peak position of number 32 in US Billboard Hot 100 and in Canadian Hot 100 it ranked on number 50 and in New Zealand it reached on number 35 position.